JOHOR BAHRU, 29 NOVEMBER 2017 – The UTM Academic Leadership Center (UTMLead) received a visit from a delegation from Universitas Negeri Malang Indonesia (UM), yesterday. 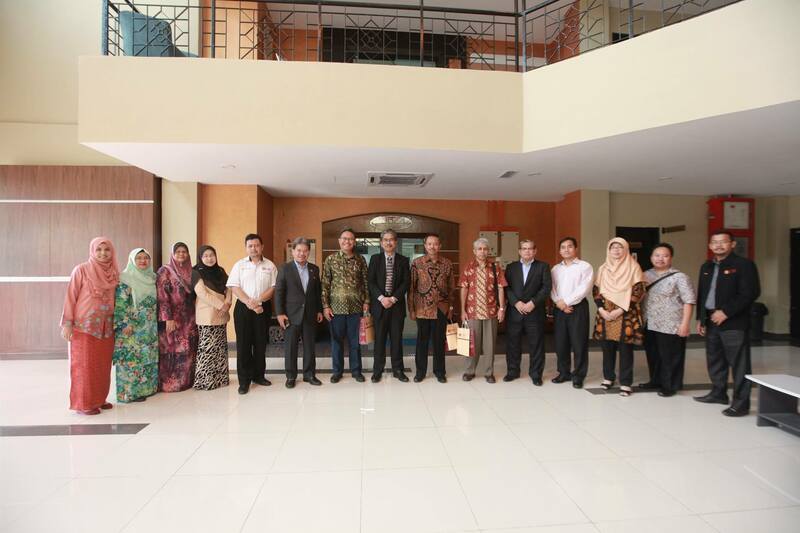 The UM delegation of 10 academic administrators and management was headed by Prof. Dr. H Budi Eko Soetjipto. Among the delegates present were from the curriculum and the ICT centre development team. According to Prof. Dr. H Budi Eko Soetjipto, the main purpose of the visit was to conduct a benchmarking to UTM associated with the curriculum development program and academic system at UM. The delegation was welcomed by UTMLead’s management team and Human Resource Division (HRD). The discussion session was chaired by Senior Director of UTMLead, Prof. Dato’ Dr. Ahmad Nazri Muhammad Ludin. During the session, the UM delegation was briefed on the talent development programs for the academic staff under the Centre of Academic Leadership and Professional Development (CALPD), academic program by UTM Office of Undergraduate Studies (UGS), UTM Centre for Quality & Risk Management (QRiM) and UTM Academic Management Division (AMD); and academic management of information system by UTM Centre for Information and Communication Technology (CICT) and Centre of Teaching and Learning (CTL).